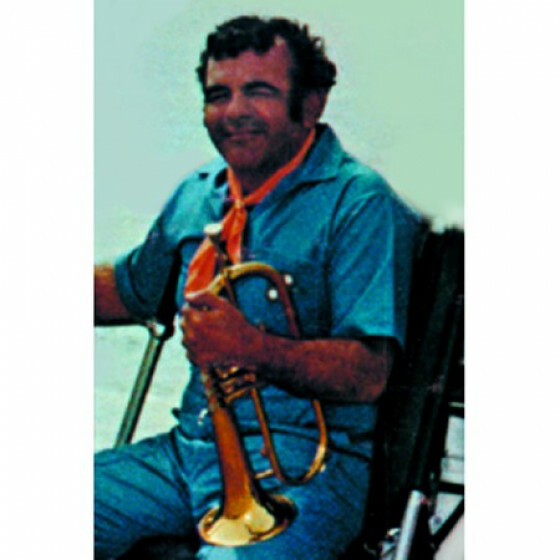 Hank De Mano was born Aug. 14, 1933, and began playing trumpet in 1941. His given name was Henry Endemano. He studied at the Los Angeles Music Conservatory, where he was under the personal tutorship of Lewis Maggio and he developed his soulful sound and technique. From this formal training came an ever increasing interest in Jazz and individuality. Although a local Los Angeles musician, he played in Alaska and in San Francisco and other western cities. While in San Francisco, Hank played with Dave Brubeck, while locally he formed a quartet and backed Anita O’Day. In 1955 he put together a new quartet —with Don Friedman, piano, Monty Budwig, bass, and Gary Frommer, drums— and made his record debut on a studio album issued on Freeway Jazz Records. From then on he mostly played with variations of that format under his own leadership. He was a very independent individual and didn’t play in other groups often. In the early sixties he abandoned the trumpet to concentrate only on flugelhorn.